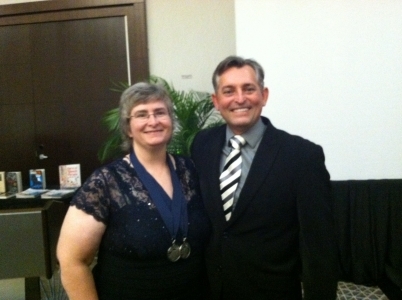 Connecticut author, speaker and publisher Tara R. Alemany won two silver medals at the annual Florida Authors and Publishers Association (FAPA) President’s Book Awards in Orlando, presented to the best books of 2014 and the first half of 2015. Alemany’s book, “The Plan that Launched a Thousand Books: A DIY Guide to Creating Your Own Book Marketing Plan,” is the second of her books to win a national award. Last year, Alemany’s “The Best is Yet to Come,” won a Readers’ Favorite Award. The award ceremony took place on Aug. 8 at the Hilton Orlando/Lake Buena Vista Resort. Winners were selected by the competition’s 31 judges – 27 national state librarians and four publishing professionals. A resident and business owner in Sherman, Alemany recently launched her publishing company, Emerald Lake Books, to help business authors grow their brands and establish their expertise through the production of quality books. “The Plan that Launched a Thousand Books” was the first title published by Emerald Lake Books, in October 2014, and is a topic that Alemany frequently speaks on.